Office Space - Maisemore, Gloucestershire. 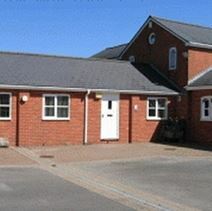 Occupying a prominent rural location in Maisemore, these offices to let are a unique development of office units converted from a block of Victorian farm buildings. It comprises of self-contained individual units that are well-appointed, tastefully decorated, fully carpeted and equipped with Category II lighting throughout. Additional facilities include air conditioning, secure parking, high-speed broadband and daily post collection. Gloucester city centre is located a mere 2 miles away whilst rail networks and major roads (M5, A40, and A417) are within easy reach.